Strangely enough I am not superhuman. This came as a bit of a shock. I thought as long as you put the fuel in, were kind to your body, mind and soul things would continue on even after major hiccups like hospital stays. Apparently it’s not true though. Apparently even super heros get sick now and then. So what does this have to do with cooking? It dawned on me as I pointed Mr Chocolate towards the fridge and told him “whatever” to feed our children for another consecutive night that all the cooking is central around me. The Monkeys are too little to really help out, and there is only so long the freezer meals will last. Mr Chocolate does long working hours so all the cooking pretty much I do. I have all these simple recipes in my head that mean the difference between screaming toddler at 4.30pm, who just needs a little something to tide him over until dinner, but all fairly useless if I’m not there to execute them. If I was really sick for a really long time or really wanted a really long holiday…(oh!) Does that mean that’s the end of all the food that my family rely on and enjoy? Now don’t get me wrong, Mr Chocolate can cook a bit, and certainly wouldn’t let the boys starve but if he knew how to cook a few of the staples it would make me feel a little easier. Even just to feed the sourdough starter. So last weekend was spent with Mr Chocolate becoming Mr Sourdough and Mr Biscuit. The following weekend will be spent in a similar fashion, compulsory cooking classes. * for use for snacks, cure for my belly is so hungry I may explode before dinner, or some after dinner dunking. Cream the butter, honey, vanilla and then add flour. Lightly roll in a ball, then squish down a little. Bake at 180C until light golden. This entry was posted in Food Glorious Food and tagged basic cooking, family, food, honey biscuits, recipes, super heros by cityhippyfarmgirl. Bookmark the permalink. I hope Monkey Boy is feeling better. I am fortunate that DH does cook, however if it were just him to feed the girls I fear they would eat Ramen and chicken nuggets way to much (but hey at least he adds fresh carrots, celery and onion to the Ramen packets. Do hope you & your little tribe get better soon, its a shock to the system when super bugs take you out isn’t it. get well soon. You are so smart to give cooking lessons! Your biscuits sound yummy- no leavening agent? or is your plain flour self – rising? Sorry to hear your family hasn’t been well. Thanks lovely ladies, everyone is healthy again which is great, and the super virus has been banished for good, I hope! 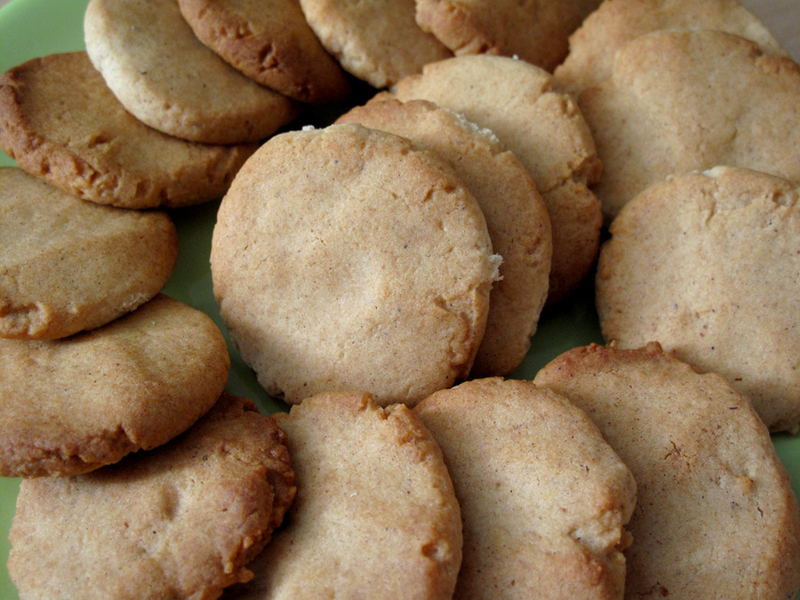 Heidiannie- no leavening agent for these biscuits (cookies), they are good for dunking in to an afternoon espresso. Oh my! I hope you are all feeling better. That is just the worst! I can’t imagine Steve doing all the cooking, and I can’t imagine not being able to do it, though I’ve been sick before. It has happened! The horror! Really, though, I hope you and your family are on the mend. Makes me want to prepare and make him go through the paces….h.mmm. It’s no fun when a superhero loses their powers. I hope everyone is on the mend now. What better way to restore your powers than a dunking biscuit! Oh dear, what have I missed? I hope you are all fine now. Being ill is bad enough, but when you have little monkey’s to worry about , it must be tough. Still impressed that Mr C is prepared to go through sourdough and biscuit lessons. good to read you’re all better. i’l looking forward to preparing these lovely cookies! pls would you help me with the conversion in grams/ounces for the 1/2 cup honey & 1 1/2 cups plain flour? sometimes the conversion measures found on internet are confusing between countries (aus, europe, uk, usa), so i rely safely on your reply! 🙂 thx so much! sunny summer greetings fm greece! Sorry, edited now Gina. It does get confusing doesn’t it! Ok, I’m moving on from the lemonade scones now. These are next! good morning brydie! wish you all well!